We are the exclusive supplier of the St. Lawrence Tartan®. This beautiful plaid was designed by Mrs. Helene Cobb of Clayton and was sold for many years in her shop Clan Woolens. 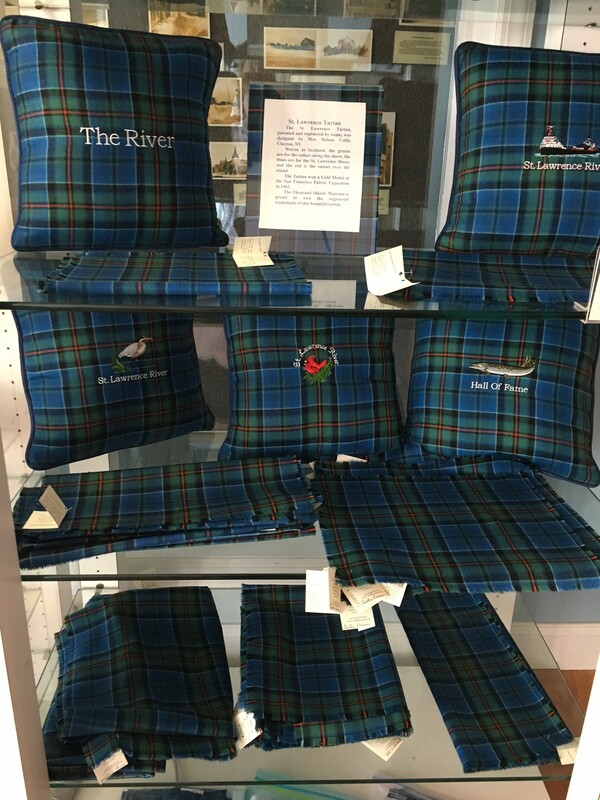 The tartan woven in Scotland is the registered trademark of the Thousand Islands Museum. The green is for the cedars along the shore, the blues represent the St. Lawrence River and the red is the sunset over the islands. 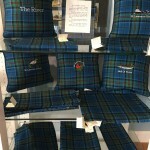 Pillows made of tartan, embroidered with designs are available along with a variety of handmade tartan items such as scarves, throws, shawls, and table runners. We also now have men’s ties, cross body quilted purses and wristlet purses made of tartan. To have an order shipped call the museum at (315) 686-5794. We accept VISA and MasterCard.